For years photographer David Gluns has gone the extra mile for the perfect shot. Sometimes that meant getting up before daybreak for the best light or working his magic to make a Whitewater Cooks dish look good enough to eat. In addition to the famous cookbook series by Shelley Adams, David has been the feature photographer for a large number of commercial and tourism-related projects. 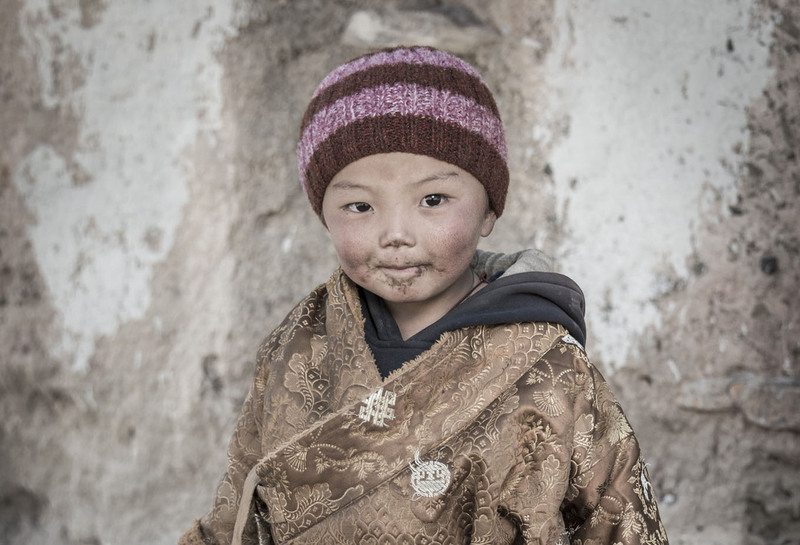 For his current exhibition at the Nelson Public Library, Gluns went multiple extra miles: acquiring the photographs for the show “Portraits from Saldang, Upper Dolpo, Nepal” involved a five-day trek over two mountain passes to reach his subjects. Gluns has been trekking in Nepal since the 1980s; since his retirement a few years ago he’s been spending three to four months a year there. This series from Nepal’s Upper Dolpo region is affiliated with the Altitude Project, a Nelson-based organization that supports education in the region. It’s a good fit for Gluns, whose multimedia slide show from earlier years toured BC to help support school children in Nepal. The show, which runs until the end of February, will be the backdrop for a presentation on Thursday, January 31 at 7 p.m. at the Library. Author Dorje Dolpa will introduce her book, Yak Girl: Growing Up in the Remote Dolpo Region of Nepal in a special multi-media presentation sponsored by the Altitude Project. David Gluns will be in attendance for the event.